Hotel in Amelia Island FL – Your best beachfront getaway. 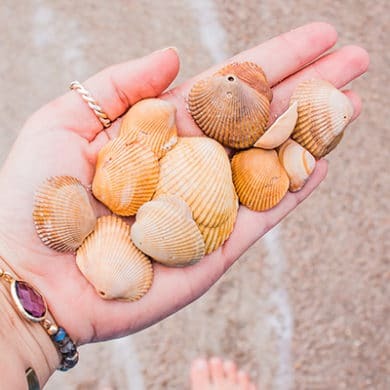 The Seaside Amelia Inn will soon become your favorite coastal destination – a hidden gem located just steps from the beach and only minutes away from Historic Downtown Fernandina Beach, Florida. Our comfortable, quaint 46-room boutique hotel in Amelia Island FL offers an experience to remember. This is the best place for a beach getaway, welcoming families making memories, couples celebrating romance, and friends seeking fun in the sun. Spend your days on one of Florida’s most beautiful and secluded beaches. Our intimate boutique hotel is only 2 miles east of Historic Downtown Fernandina Beach – a charming venue for unique shopping and delicious dining options. The Seaside Amelia Inn is conveniently located on the beach and a short walk, bike ride or drive Fort Clinch State Park for nature lovers, Amelia Island Charters for fishing or ocean cruises, Amelia Horseback Riding for galloping right on the beach, trolley or carriage tours for history buffs, Driftwood Surf Shop to catch a wave, and famed golf courses including Amelia River Golf Club and Fernandina Beach Golf Club. 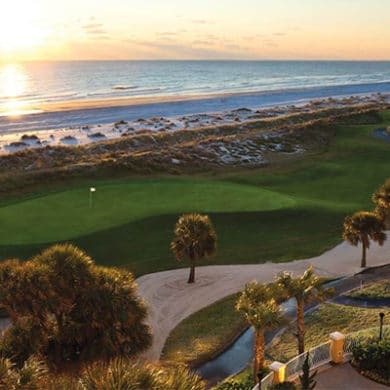 There’s so much to do in Amelia Island and Fernandina Beach. To start planning your vacation, take a peek at our Local Guide Blog or ask one of our friendly associates when you arrive. When you stay at our hotel in Amelia Island FL, you can relax in the comfort of your guest room, enjoying free Wi-Fi, free parking, and a free Southern homestyle breakfast every morning. We have partnered with the Island Art Association to line our walls with lovely artwork by local artists. If you like what you see, purchase a piece home to remember your stay. Explore Fernandina Beach and Amelia Island, one of Florida’s most beloved beach destinations, with a beach getaway to the Seaside Amelia Inn – a treasure on this treasured coast. Snuggle up with your special someone seaside with our Romance Package. You and your sweetheart will enjoy a three-night stay, red roses in your room upon arrival, romantic dinner for two and a one-hour photography session. Celebrate love at Seaside Amelia Inn. 100% healthy and 100% happy when you bike on Amelia Island's with Seaside Amelia Inn and Spoke Cycles. Spend two days Adventuring, Biking, and Exploring our beautiful, pristine beaches, quiet and untouched nature trails, and historic downtown Fernandina Beach. We’ll provide a healthy Snack Pack to go and a lovely lunch at The Patio Place in downtown Amelia Island. Let’s go ride a bike, commune with nature, and leave your troubles behind and get healthy and happy!